IT was Scotland’s biggest infrastructure project for a generation and, a year ago today, the Queensferry Crossing opened to the public for the first time. The 1.7 mile publicly-funded crossing replaced the Forth Road Bridge as the main route between Edinburgh and Fife, travelled by 24 million vehicles per year. It joined its predecessor and the Forth Bridge, which carries the local railway line, in a stunning trio of structures spanning the estuary. Today, analysis revealed that the new bridge had improved the reliability of journeys across the Forth in the year since it first opened to vehicles. The Queensferry Crossing project was a huge undertaking, and resulted in the world’s longest three-tower, cable-stayed bridge in the world. The state-of-the-art structure is expected to be in use for over a century. 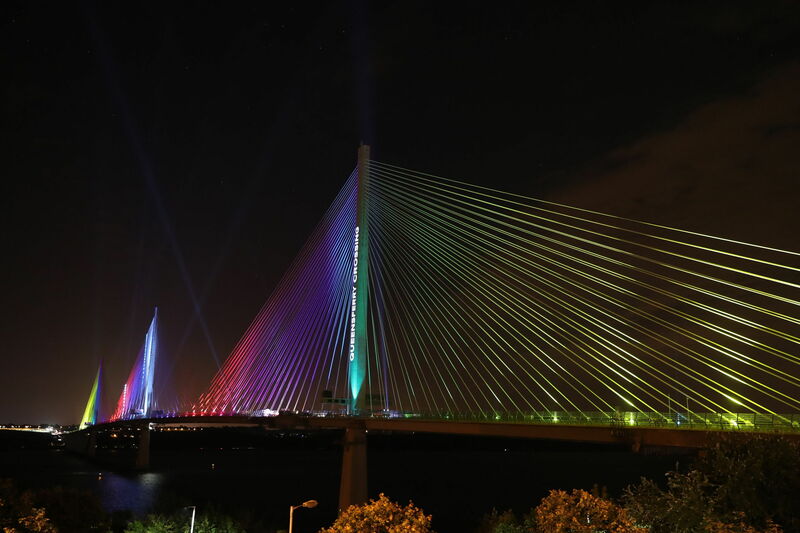 On Monday August 28, a light show marked the handover from contractors to the Scottish Government. A convoy of vintage, modern and electric vehicles made its way across the bridge as part of the event. The first members of the public drove over the structure in the early hours of August 30. There were long delays as motorists flocked to try out the brand new bridge – and it was hit by its first breakdown by 7am! 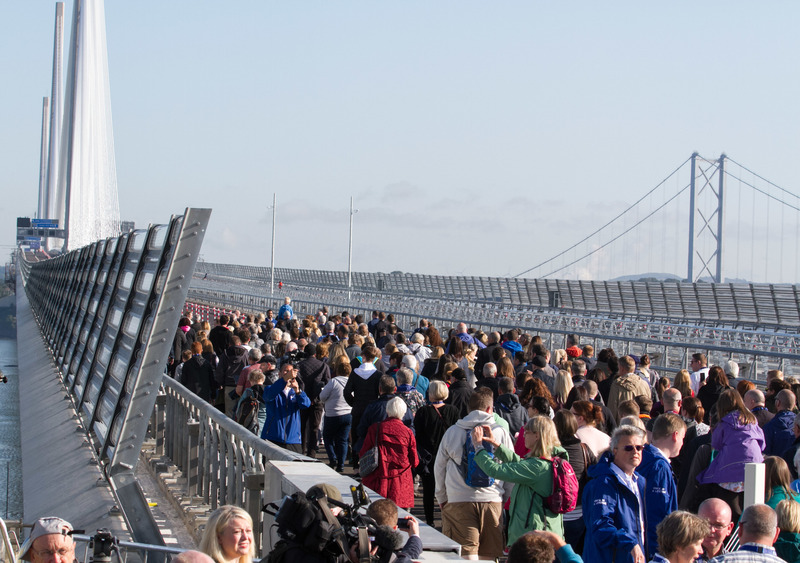 The bridge then closed again on the Friday of that week to allow 50,000 people the opportunity to take part in a “once-in-a-lifetime” chance to walk over the bridge during the weekend, ahead of the royal opening event. On September 4, the bridge was officially opened – exactly 53 years on from the day The Queen cut the ribbon on the neighbouring Forth Road Bridge. 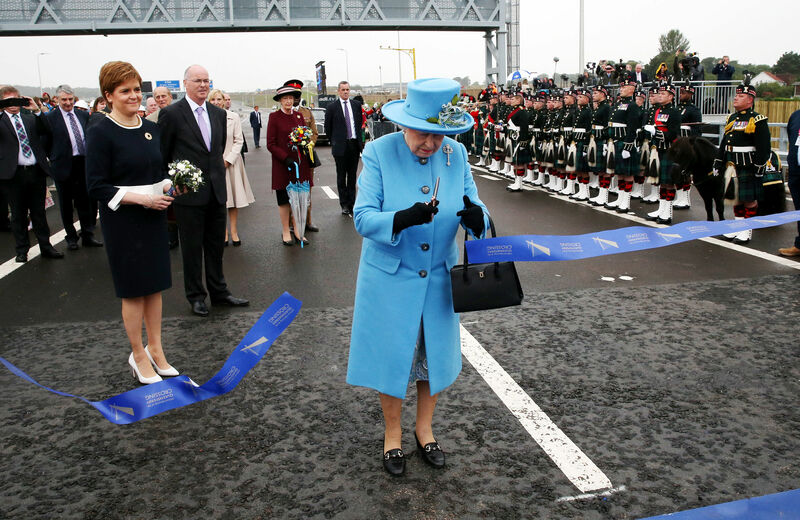 Her Majesty was on hand once again, alongside First Minister Nicola Sturgeon, to declare the new structure open. 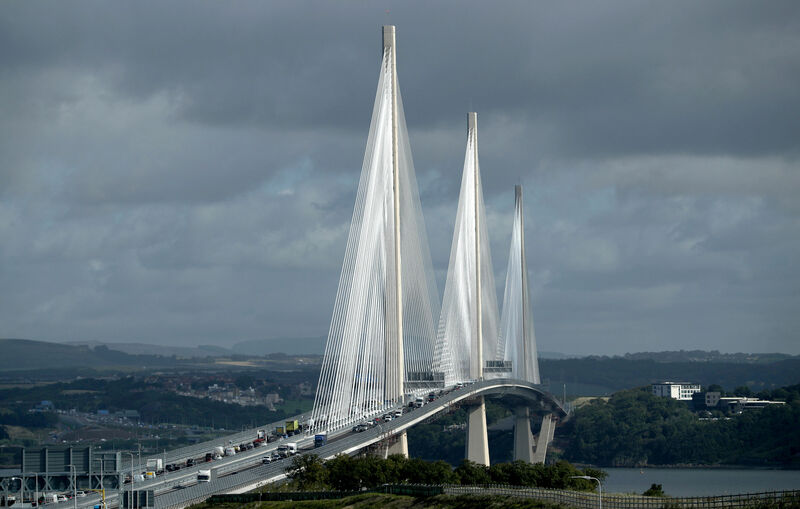 She hailed the construction of the bridge as an “extraordinary achievement”. Local people and school children were given the chance to walk over the bridge the next day, and it reopened permanently to traffic on Thursday September 7. In November, the speed limit on the bridge was raised to 50mph, and in December, 70mph. In February 2018, it was officially designated a motorway.